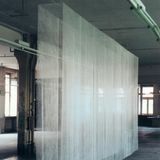 This piece was installed in a derelict warehouse - next to the prison - in Freiburg / Germany. 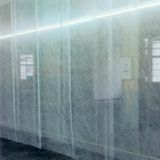 "Permeable Wall" is a meditation about visible and invisible walls. - ganz innen - um Wende zu werden?